Tulane theater students have been hard at work since February in preparation for this week’s performances of “Machinal,” a 1928 play written by early feminist Sophie Treadwell. The play, an expressionist drama, is running at the Lupin Theater for five consecutive nights, starting April 9 and ending with a Sunday matinee April 14. Expressionism, in reference to theater, deals with the dramatization of emotions. Often, this is reflected in the pain and suffering of protagonists followed by an intense spiritual arousal. The plot of “Machinal” follows “an ordinary young woman,” Helen Jones, going through this same pattern. At the start of the play, Jones is living an confined life in a predictable and mechanized world. She works a boring office job and is married to a man who provides her financial security. 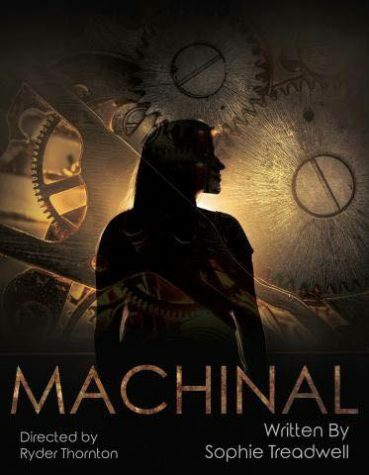 “Machinal” depicts Jones’ inner struggle to rebel against the materialistic world in which she lives and defy the expectations placed on her because of her gender. Junior Zelda Kimble, who has been acting her entire life, will be portraying the character of Jones in the play. While Kimble is excited to show the Tulane community how hard the cast and crew have been working at rehearsal, she is most excited to see the audience. The play’s feminist themes are represented in the lack of uniqueness ascribed to the “young woman” character, and her representation as an archetype: a “modern Everywoman.” Treadwell accomplishes this depiction of Jones through her use of flat characters, repetitive dialogue, confusion of reality and utilization of short scenes, all aspects common in expressionist theatre. Kimble reveals that her role as Jones has been tricky to get into but that her fellow cast members have been helpful in assisting her. Collaboration like this is essential for the proper functioning of a play. “It is always an exciting moment when collaboration solves staging challenges and clarifies story-telling,” director Ryder Thornton said. From the moment Thornton first read the piece, many years ago, he wanted to direct it. His long-held love for the play propelled him to propose it to the Season Selection Committee last year. This will be the first full production Thornton has directed at Tulane. Support the hardworking members of the show’s cast and crew, get your tickets to the show here! The author obviously did not read or watch this play.